Former world No. 1 Novak Djokovic is in doubt for the US Open due to his elbow injury, Serbian media reported, citing the country's Davis Cup team doctor. Serbia’s Novak Djokovic after he retires from his Wimbledon quarterfinal against Czech Republic’s Tomas Berdych with an injury at the All England Club in London in this July 12, 2017, photo. 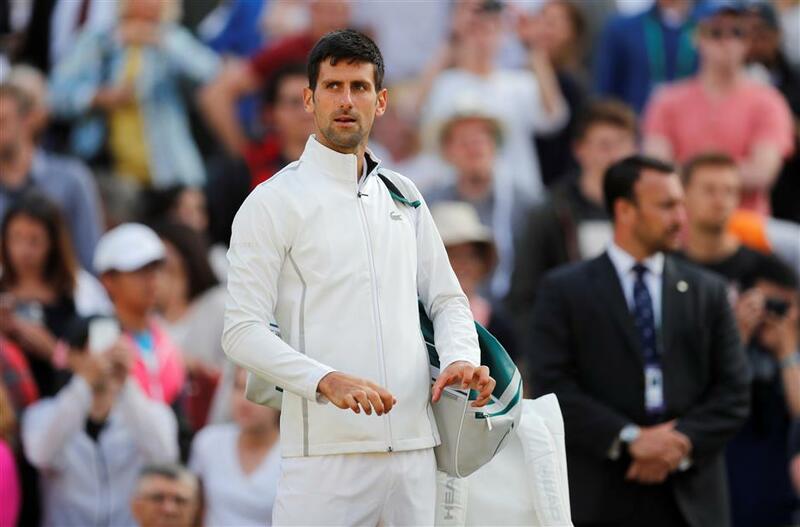 Djokovic retired hurt during the quarterfinals at Wimbledon and said he was considering taking a break from playing to recover from the long-standing injury to his right elbow. Serbia's Sportski Zurnal reported that the 30-year-old could face up to 12 weeks on the sidelines. "He has a bruised bone due to excessive playing," it quoted Zdenko Milinkovic as saying. The 12-time grand slam champion won the US Open in 2011 and 2015. This year's tournament begins at Flushing Meadows, New York, on August 28. Britain's The Times said Djokovic would make a decision about his playing schedule over the next 24 hours and that an announcement would me made at a news conference in Belgrade this week. "We are doing different checks and getting opinions from more than one doctor," The Times quoted his spokesman as saying. Djokovic has appeared in 51 straight grand slams since his debut at the 2005 Australian Open. On the field, qualifier Tommy Paul rallied from a set down to defeat seventh-seeded Chung Hye-on 4-6, 6-2, 6-3 in the opening round of the Atlanta Open in Georgia on Monday, The Associated Press reported. The win is the second on the ATP Tour for the 20-year-old Paul, an American ranked 291st in the world, and it came at the expense of Chung — a South Korean who entered the tournament ranked 53rd in the world. Paul advances to face the winner between Reilly Opelka and Malek Jaziri in the second round. Americans Jack Sock and John Isner are the top two seeds in the tournament.